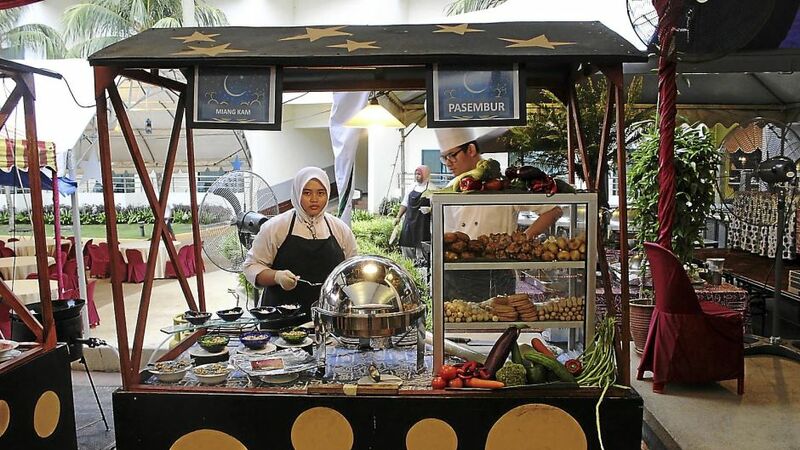 HOTEL guests and walk-in diners can enjoy breaking fast with over 150 authentic Malay and Thai cuisines at the Swiss Garden Resort & Spa Kuantan from now until Aug 7. Its guest chef Sunantha Aitsalee from Bangkok will be preparing a wide selection of dishes with a concoction of specially blended herbs and spices to tantalise the taste buds of food lovers. The resort?s executive assistant manager Raymond Leaw said the promotion was specially designed for Ramadan. He said diners could try out healthy salads and appetisers such as Thai Beef Salad, Kerabu Mangga, Kerabu Udang, Buah Jeruk, Acar Buah Sri Rampai, Sup Ayam Berempah and Tom Yam. ?For a hearty main course, our chefs have come up with Roasted Whole Lamb in rosemary sauce.